Bursaw Gas & Oil was founded in 1915 by Henry William Bursaw and his wife Rose Helen. They lived in South Acton and began their business on Central Street not far from where they lived. They used wagons and horses that were stabled in their own barn to make deliveries of kerosene and then later gasoline to the surrounding towns to homes and farms. This was before the days of pumps so five gallon cans were used to carry kerosene to deliveries. Sometimes, the cans had to be dragged up three flights of stairs in order to make a delivery. Gasoline was delivered five days a week to the many farms that permiated the region. Four generations later we are still here. Big enough to handle the needs of thousands of customers residentially, as well as serving commercial accounts in three states, but also small enough to know who you are when we pick up the phone. Our goal is not to be the largest petroleum company in the region but more of a boutique organization that does our job the right way which, unfortunately is no longer the common way. 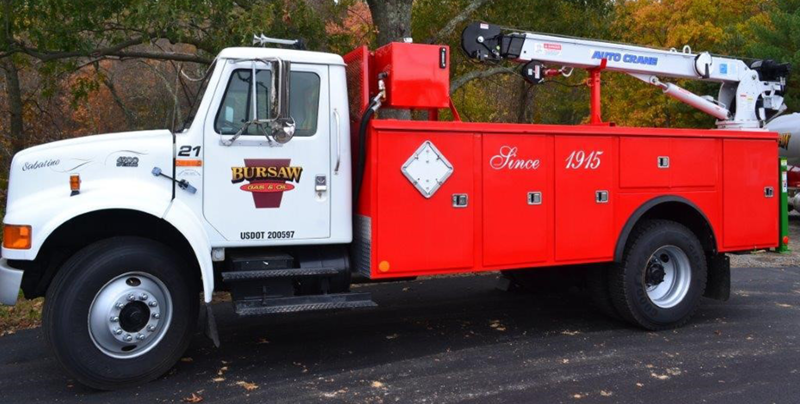 "BURSAW DELIVERS WHAT OTHERS PROMISE" is our slogan for a reason.